Well, it's long overdue, despite a brief makeover in 2012. Google maps re-introduced and image sizes increased to take into account the improved Internet speeds. The design is HTML5 and should render better on mobile devices. We hope that you like it. It has been some time since we reported any changes to the website here, but we have not been sitting around doing nothing. Most of the changes that we have made over the last couple of years went into improving the owners admin area and concentrating on achieving top search engine placements for our keywords. This year, we felt that the website needed a new fresher look, so here it is. A valid XHTML 1.0 Strict site with a fresher more modern feel. We hope that you like it. You will notice that with the new website design layout, the search results pages now display properties in descending order. This is due to the findings that the random search results were actually omitting some properties and duplicating others. Although the search results are now not random, we do now display all listed properties in full in a random manner upon browser loading on the Algarve4me home page, thus giving more front line exposure to all properties. A complete overhaul of the Algarve4me website has been started. Users will notice major changes to the layout and overall look of the site on a page by page basis. The website is being redesigned to meet the exacting xhtml and css standards. There is a possibility that some users with older computers and browser software may have difficulties with the new site but we feel that it is important to move forward with the majority who are now able to view the latest web standards. Please let us know if you experience any problems or find any errors in the upgraded pages. Page loading time may be an issue for those with 56k modems. A new search category has been added after the realisation that villas are being listed with 2 bedrooms. A new colour scheme is being trialed for the search results display pages with different coloured text lines which make the property searches easier to identify certain criteria. The changes made to the site structure and new links directory are starting to be recognised by the search engines. New categories have been added for the selection of property types other than villa or apartment such as farmhouse or chalet. The owners Paypal donation button is now located on the owners log in page. This was moved to try and tidy up the Algarve4me home page. A new photograph advice page has been added which is accessible from the owners log in page. This gives advice regarding where your photos are positioned and information about the format and size of the photos which should then be e-mailed to us. Many changes have been made in the last month. The introduction of a new directory structure for many of the property pages. A new overall look to the web site, with less colour (this should help those looking to print the property pages). A lot of work behind the scenes to try and improve search engine results positions. A general clean up of the code with validation and bad links. A new links directory to improve the accessibility of our link partners. You will notice many changes to the sites pages to make the site more search engine friendly. Also, the property search pages have been modified to make the results displayed much clearer for our users. A couple of advanced searches have been added to identify more precisely suitable properties. A number of new pages have been added. A new search was added to the Algarve4me web site. Users are now able to search for properties that sleep a maximum number of people. This should help those who are looking for accommodation for larger groups of people but who are unsure about how many bedrooms to have. Since the last posted update back in May, the site has seen many small changes made either to help owners, site visitors and search engine placements. 1. The introduction of apartment and villa search pages by bedroom numbers. 2. The introduction of a holiday property exchange page. Allowing users to exchange their property with other owners who want to travel to new places, but who do not have to pay for accommodation. 3. The introduction of a new home page allowing the random display of all properties upon browser loading. 4. The introduction of individual property pages which should eventually find their way to the search engine results. 5. Form validation scripts added to some forms to avoid key fields from being left un-completed. The main property detail form which allows the input of all property details has been re-designed with a new layout. This has reduced the page size from 110k to 85k. Although still a large page size, this page does contain all property details except pricing. Started today is the steady alteration of the search results pages to display random results rather than ordered results. What this means to advertisers is the opportunity to have their property displayed at the top of the first results search page. This display method is completely random and is not driven by updating availability calendars etc. Added to the home page is the new Algarve4me guest map. Visitors to and advertisers on Algarve4me can write a brief description about themselves and mark their location on a world map by choosing one of the characters. In experimental stage is the new Algarve4me forum where visitors or advertisers can discuss elements about the Algarve4me web site, the Algarve in general, travel tips and advice, keeping in touch with friends or queries about the Internet and web site design, problems, etc. Presently run by an outside source BraveNet, if the forum proves to be creating enough interest, Algarve4me will design and introduce their own forum. 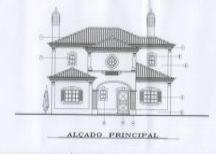 A new Individual Property page was added. Accessible from the home page menu, this new page will display individual property details and allow search engines to index the property details pages for information and keywords. 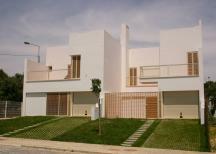 (previously this was not possible due to the way Algarve4me linked the property details from the property lists). 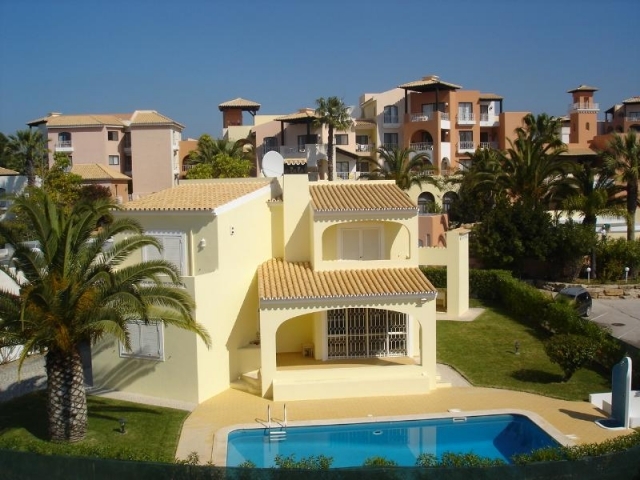 An Algarve4me web site search box has been added to the home page. Visitors can now search all of the Algarve4me web site using any search term they wish to input. Added to the Algarve4me web site is a new feature. Owners can select which methods of payments they accept. One of the top online payment sites PayPal is now offered as a feature to help owners collect rental income online without the need for postage problems. Also arising from PayPal is a new search page listing only properties that are able to accept payments by PayPal. Users of the top online auction site ebay will be familiar with PayPal as a means of paying and receiving money for auction goods. Added today to the Algarve4me web site is a new page detailing the ambitions and information about the Algarve4me web site. A major improvement to the owners page. The time required for owners to obtain a form has been shortened. There is now no requirement to add your password for each of the property forms. Just one click of the Go button will produce the form you require. You will still however need to login again after submitting each form. A new Special Offers Page added with a direct link from the home page. Property owners can now add special offers for their properties in the revised owners page. The Owners Page has been re-styled to try and improve navigation and clarity for adding property details. A new Algarve4me site map page linked from the home page has also been added to help aid search engine navigation (as our new dynamic menus may have affected our sites positioning in some search engines). Various improvements were made to the home page layout. A new owners log in area added to the right hand side of the home web page. New web links were added to the flights page and car hire page with direct online searches for both. Previous changes were made during the last 2 weeks of March to the Owners Page with the username not now required to log in to the property forms, only your password. A number of new properties were added during March. Some newly registered users are still having problems accessing the property forms but no information has yet been received to help Algarve4me determine where the problem lies. Changes made to all forms. Username and a4m details are now not displayed in textfields. Changes to the colour scheme and pricing display. Modification made to the layout of bedroom and bathroom details. current information and conditions available on the Algarve4me web site. A complete redesign of the Algarve4me home page incorporating a new menu driven web site search feature (best viewed in internet explorer). A new page was added to the Home page web site search feature (View all Properties text only). Web users are now able to view the all of the properties listed on Algarve4me in a text only list with links to owners individual property details. This step is aimed at speeding up web page loading and improved search engine ranking. A direct link to the availability calendar login was added. Owners no longer need to enter the owner's area to update their availability calendar. A property's nearest golf course was added to the quick search lists. Textfields altered to display property description and further information text into paragraphs following a request from a registered advertiser. Photographs re-sized. New layout for golf course details and facilities added. Original property rental price form split into two smaller forms after some users complained of problems viewing/displaying the form in their browsers. A new availability calendar added. The new availability calendar now automatically rolls on every month to display the next 12 months. A new cleaner look was introduced for the Algarve4me home page. Jump menus added to improve search time for web site visitors. Photographs for Albufeira marina, Lagos marina and Alvor fishing area added.